Are you in need of window repair or installation? We at Integrity Home Services LLC are well versed in all kinds of window work and more. We have been providing quality service in Southern Connecticut for over 27 years, and through those years have made a name for ourselves that truly represents the meaning of the word “Integrity”. We understand that your time is important, which is why we hate to waste it. One quality our clients appreciate most from us is how reliable we are. It is imperative for us to be able to complete our contract in time. However, this does not mean that we rush things, as we are equally committed to delivering quality workmanship even as we meet our deadline. We’ve held a Home Improvement License for over twenty years and a State of Connecticut license in Residential Home Inspection for over ten years. We also firmly believe that being completely honest and open with our clients is key for clear communication, so we make ourselves always readily available to answer their questions. Transparency is important, especially when it comes to giving estimates. We will not subject our clients to unnecessary repair jobs; instead, we give them options that are most ideal to them, and adjust to their requirements as needed. If you are conscious about your budget, Integrity Home Services LLC is here to assure you that, we can provide you the most economical option. Windows are pretty much repairable most of the time, and even those in need of replacement can be partially replaced. Whatever kind of service you feel fits your needs best, we are provide it for you. If work is not correctly and carefully executed, a simple window repair or replacement might escalate to greater damage in other parts of your walls, leaving you having to deal with additional costs for unplanned repairs. That is why, we focus on the importance of getting an exact fit for windows. It is common to assume that window installation is easy work; however,you will soon realize that this is not the case. Working on getting the exact fit for windows in order for it to function properly takes a certain level of skill and practice, something that Integrity Home Services LLC has lots of. For all your window needs, call Integrity Home Services LLC today! 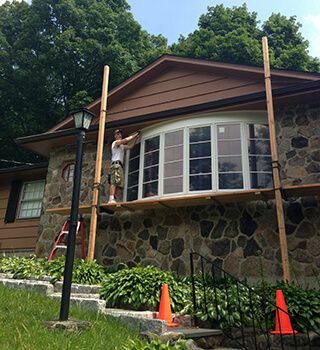 If you need an honest estimate for window repair, replacement, and installation, give us a call at (203) 403-2111. We’d be happy to serve you any day from Monday to Saturday, as early as 7:00 am and as late as 9:00 pm.